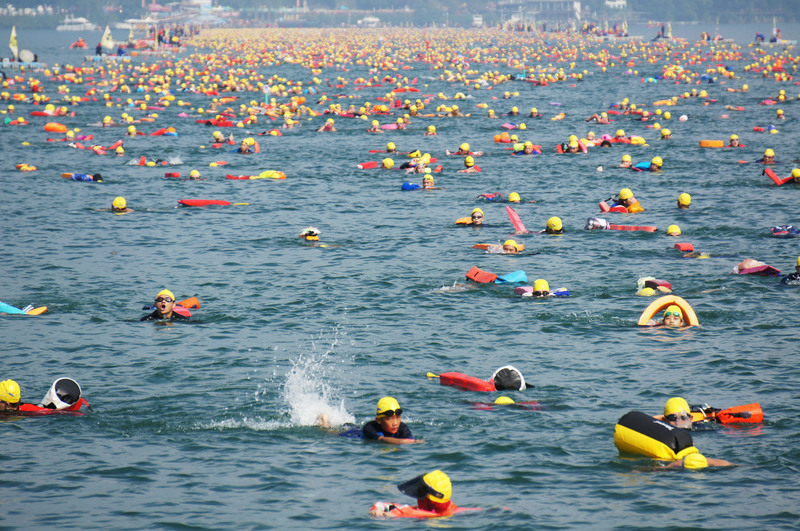 TAIPEI (Taiwan News)—The 4th Open Water swimming championship and the 36th Sun Moon Lake International Swimming Carnival will take place on Sep. 15 and Sep 16, respectively, despite the fact that the weather in Taiwan is expected to be affected by Typhoon Mangkhut. The decision to proceed with the events was made by Nantou County Government Secretary General Hung Jui-chi after he was briefed on the weather conditions by a meteorologist, according to a Central News Agency report. Recently many people registered for the swimming events have been calling the Nantou County Government to ask if the events would be pushed back to a later date. Therefore, the county government held an emergency meeting on Thursday afternoon, Sept. 13, with the event organizer Puli Four-season Swimming Association, the local fire station, local lifeguard associations, and the local weather station were invited to attend.